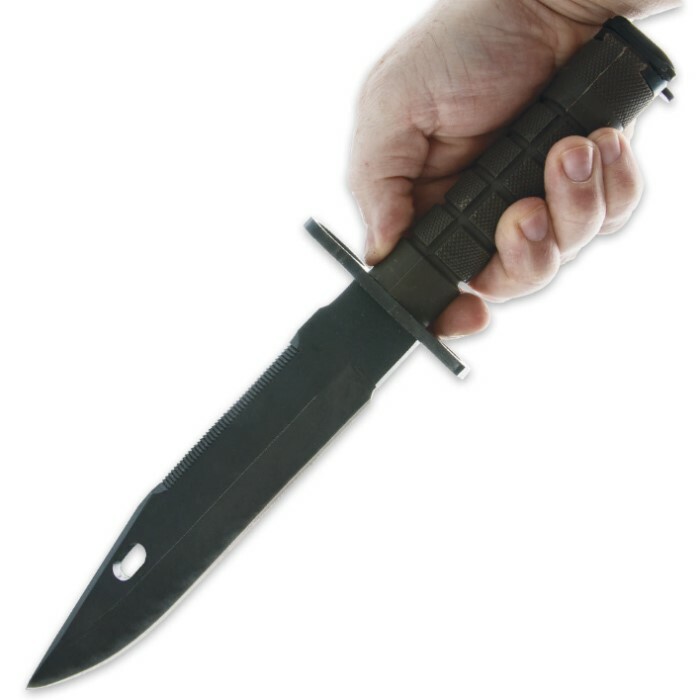 Give your black rifle an edge by adding the M9 Bayonet! Brand new production, with a lightly-aged non-glare finish to replicate that of an original M9, our model comes ready to deploy. 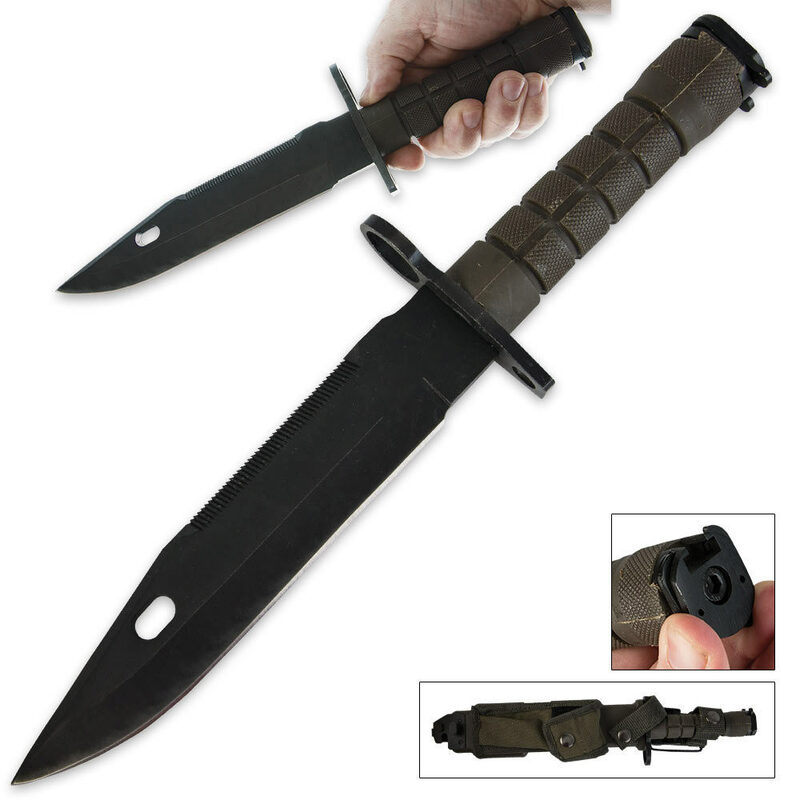 Includes a hard scabbard sheath with MOLLE attachment, pouch and wire cutter. Knife features include a rugged handle texture, 7 in. stainless steel blade with milled saw teeth, blood groove on opposite side, and hand guard. The handle locks into standard bayonet lugs while the guard slides over your barrel. Has clearance for common size flash suppressors. Rifle sold separately.